Instantly remove up to 90% of heavy, dulling residue caused by shampoos, conditioners and styling products with Neutrogena Anti-Residue Shampoo. This non-irritating clarifying shampoo cleans your hair and instantly rinses away build-up. Use our revitalizing shampoo only once a week only to find your favorite daily shampoo work even better. 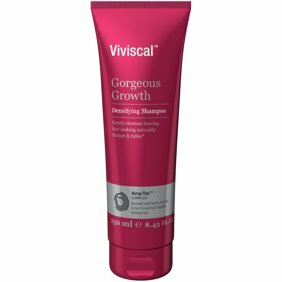 The mild formula of this gentle cleansing shampoo is non-irritating and works to remove build-up known to cause bad hair days. Designed for all hair types, our anti-residue shampoo also helps boost volume and leaves hair feeling thoroughly cleansed. Neutrogena Shampoo again, at last! We used this shampoo years ago, but have been unable to find it in any retail locations. I'm not sure why it took me so long to look for it on line, but I am so pleased to have found it again. I used it this morning and my hair looks clean and shiny, and it feels great! I have used this shampoo twice now. It took out all the residue in my hair, from built up shampoo/conditioners, and the minerals in our water. My hair is soft, shiny and healthy again. I also am using a dab of Neutrogena's leave-in moisturizing conditioner. I love both! This has been one of my favorite shampoos. My hair is clean, shiny and all the build-up is removed. Excellent ! This shampoo makes my hair feel cleaner! I use this shampoo once a week to clean my hair of all the hair product (gel, hairspray, conditioners) that I use during the week. I've been doing this for a long time.